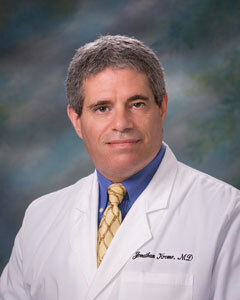 Dr. Krome joined the Spectrum Medical in 2004. Prior to that he was in private practice in Rome, Georgia. He received his undergraduate degree from the University of Michigan, and his medical degree from The University of Maryland. His orthopaedic training was performed at Wake Forest University/Bowman Gray School of Medicine. Additionally, he has completed a fellowship in Sports Medicine at The Hughston Sports Medicine Foundation in Columbus, Georgia. Dr. Krome is a Board Certified orthopaedic surgeon with speciality interests in Arthroscopy, Sports Medicine and Total Joint Replacement. He is currently a member of the Arthroscopy Association of North America, the American Orthopaedic Society for Sports Medicine, and the American Academy of Orthopaedic Surgeons.